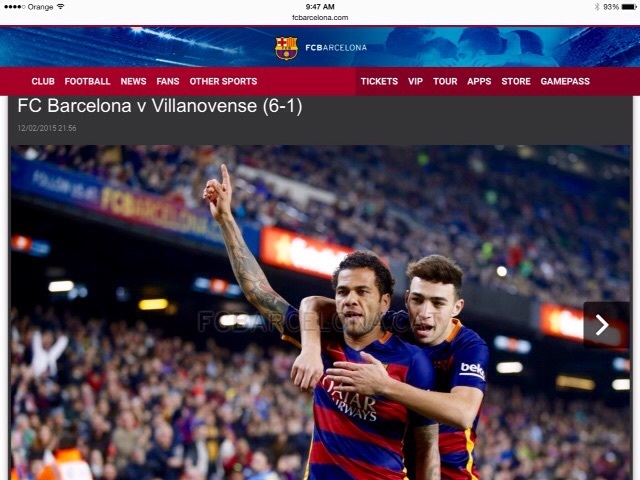 Bob went to see FC Barcelona play another Spanish soccer team in the Spanish Cup competition. Barcelona easily won 6-1 against this weaker team. 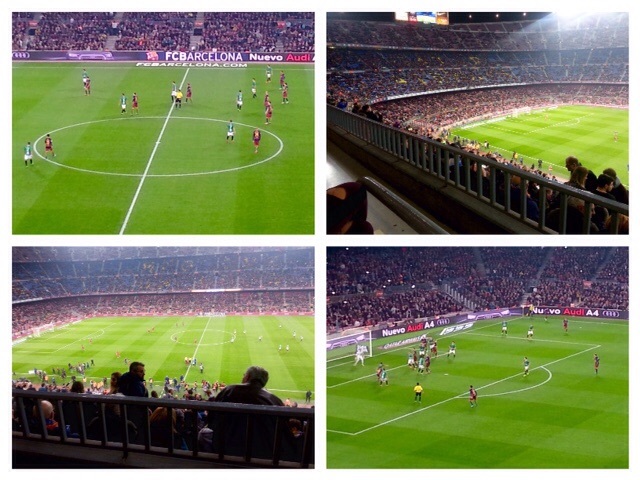 Barcelona didn’t play its top three players but it was still exciting to be there. His ticket was in the first row of the 3rd tier near the center so there was no one in front, just the walking aisle. As this wasn’t the Championship League, the crowd was only 67,000 instead of 100,000, and because it wasn’t the Championship League the ticket was only 30 euros instead of 350 euros for this prime seat. Lots of noise and cheerings and drum beating. Everyone (except Bob) either had a FC Barcelona cap, scarf, or jersey, and of course everyone tried to take the same bus home after the game. The next day we found this picture online. The spectator in the turquoise coat with the white hat, on the right side of the players uplifted hand is Bob! While Bob was at the football (soccer) game I went to a life drawing class at the same studio that I was at the first week of our holiday. This is a great group and it has a couple drawing sessions a week but this was the only one I was able to fit in. Their next meet up is the day we fly home. I snapped these photos after life drawing. The studio is upstairs in an interesting old building on a street near the Opera House. From the street all there is to see is an ordinary, graffiti covered door, that opens onto this medieval looking courtyard. 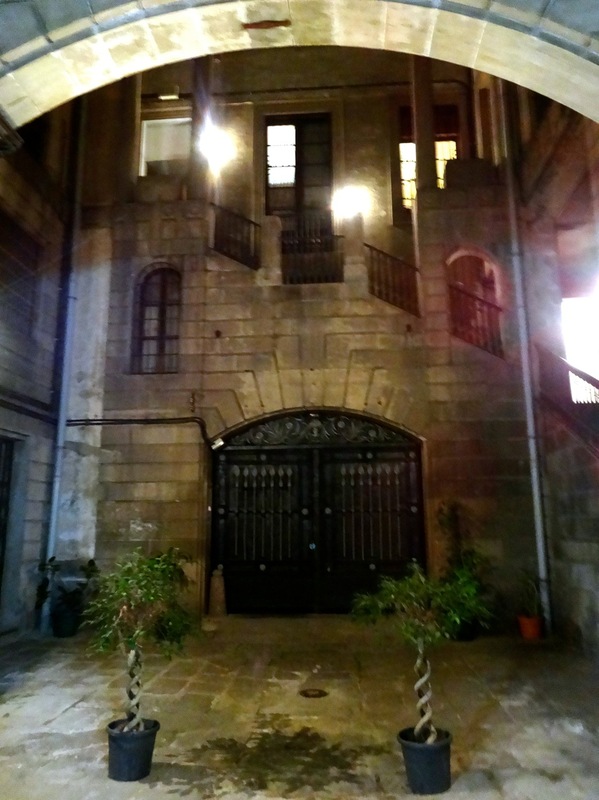 I find it quite fascinating that so many Spanish doors open onto courtyards and gardens. You never know what you will see behind a door, which is why whenever I see an open doorway I try to peek inside! This little fellow peeked out to say hello on the subway on my way home. 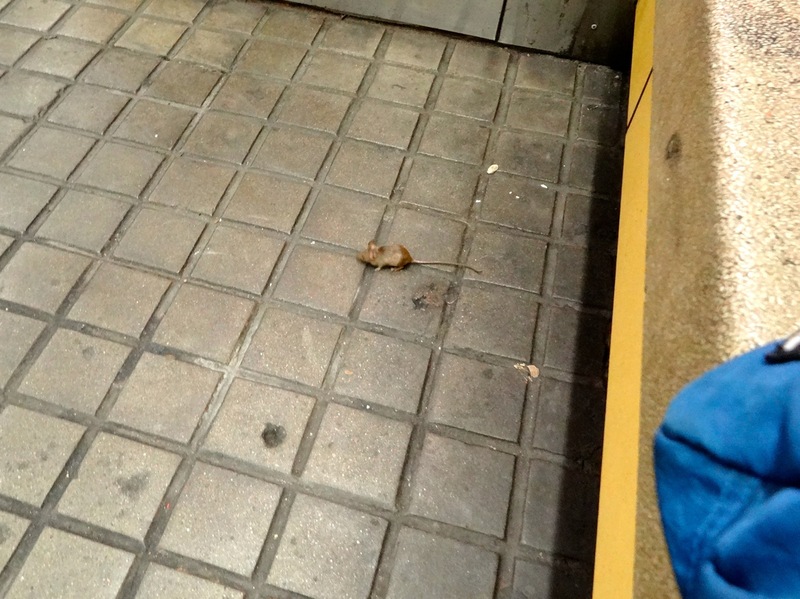 It is the only rodent of any kind that we have seen on this trip. I wondered if we would see any rats, but not a one. 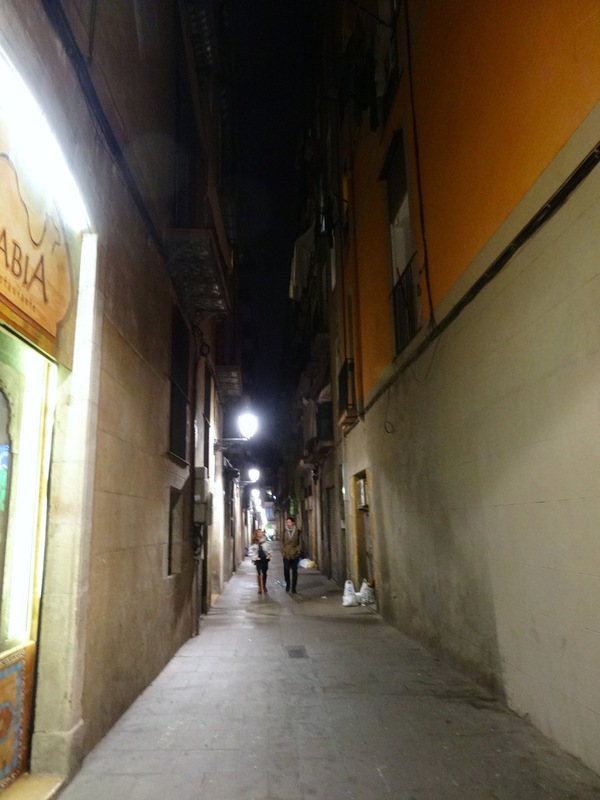 Walking home past one of the narrow side streets in our Sant Andreu neighbourhood. It was late but I felt safe walking home from the metro by myself as there were still lots of little cafés and shops open. 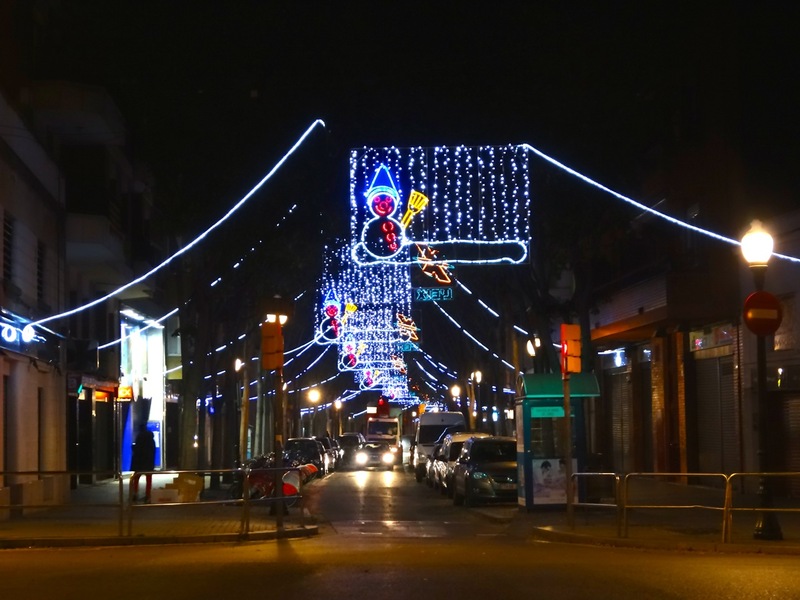 The Christmas lights are pretty even if there isn’t any snow.